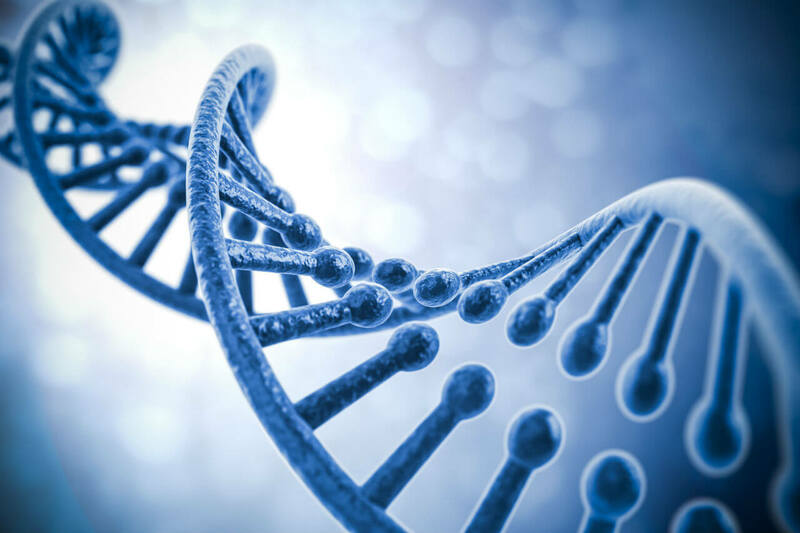 A DNA double helix is shown in high resolution 3D rendering. As more people sequence their genomes, scientists are studying genetic mutations in hopes of identifying new treatments. As the cost of sequencing the entire genome of one person has dropped from about $1 billion to $1,000, and the speed of sequencing has grown many times faster, scientists across the medical field have been given an entirely new and powerful way of understanding how genetic variation may affect health and disease. Since the 1980s, scientists have studied the role genetics plays in conditions like cancer, heart disease and obesity by inactivating or “knocking out” specific genes in laboratory mice. Now researchers are studying gene knockouts in a new model: humans. Some people are naturally missing the working copy of a gene, the result of which can range from no effect at all to, occasionally, profound effects, such as very low cholesterol or congenital insensitivity to pain. Such significant, unusual medical characteristics are commonly referred to as “extreme phenotypes.” Advances in gene sequencing now enable scientists to discover the genetic underpinnings of these extreme phenotypes, often finding inactivation of a gene – or a “knockout” – in humans at a scale and speed never before possible. These extreme phenotypes and their underlying genetic causes represent, in a sense, experiments of nature that point the way toward a new understanding of disease, and potentially reveal powerful new drug targets. A small segment of the population lacks a working copy of the gene that encodes for ketohexokinase (KHK), an enzyme that is involved in metabolizing fructose, a type of sugar. People with this genetic mutation have no noted health effects. And in a case of gene knockouts helping guide medicine, researchers have been studying the KHK enzyme as a potential target to treat metabolic diseases. Researchers have more confidence to move forward with a KHK-blocker knowing that those who naturally lack the enzyme can live without health complications. Another example is Janus kinase inhibitors (JAK inhibitors), a class of drugs used to treat cancer and inflammatory diseases like rheumatoid arthritis. JAK inhibitors work by blocking a group of enzymes involved in the cell signaling process that leads to immune and inflammatory responses. Researchers first discovered the importance of these enzymes as a drug target after studying people with an immunodeficiency disorder that had a human knock-out of a JAK gene. Harnessing the knowledge gained from studying human gene knockouts gives scientists a tool to identify potential new therapeutic targets and better understand safety concerns of therapies in development.